And finally, here I am with Alan. Its a really bad picture of me (I'm much more beautiful in real life) but its good of Alan. 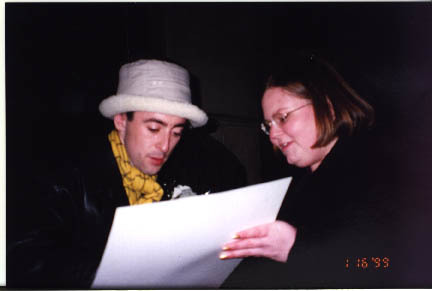 He's signing my poster (see how I'm helping him to balance it so its easier to write on.) My mouth is open because I'm saying, "Can I get a pic..." and that's when Linda, my dearest and closest friend, snapped the picture.